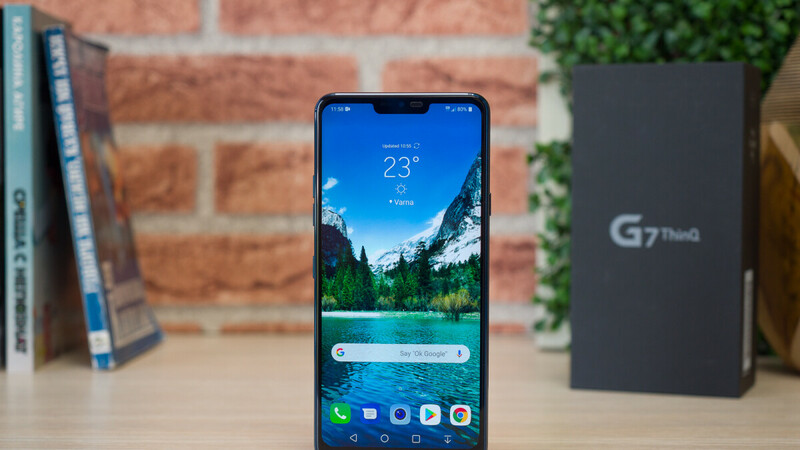 Deal: LG G7 ThinQ (unlocked) drops to lowest price to date at Walmart, save big! Walmart has a great deal for those of you looking for a new flagship phone. The retailer is offering an unlocked, 64GB version of the LG G7 ThinQ in black at $399, the lowest price we've seen to date. For comparison, Best Buy is still selling these for north of $650. Amazon has also discounted the device to a more reasonable $450 just a couple of days ago, but you're still saving a good $50 by going with this offer. The LG G7 ThinQ is equipped with a 6.1-inch LCD display with a resolution of 1440 x 3120. That works out to a 19.5:9 aspect ratio. Under the hood is the Snapdragon 845 Mobile Platform along with 4GB of RAM. A pair of 16MP cameras adorn the back, and in the front, you'll find an 8MP selfie snapper. AI enhances the quality of the photographs taken with the unit, which carries a 3,000mAh battery. Android Oreo is pre-installed. The phone is compatible with all four major U.S. carriers. If this deal interests you, feel free to follow the above link to Walmart. I think lg make a very good phone in pretty much all areas and spec. But I would never buy one again because of the simple fact that they do not update their phones. I bought the lg v30 with Android 8.0 on it new. Google is talking about Android Q and I never seen pie yet. Do yourself a favor if you want to stay updated, and stay away from LG.